This article is mirrored from its source at: http://www.independent.co.uk/news/science/stephen-hawking-transcendence-looks-at-the-implications-of-artificial-intelligence--but-are-we-taking-ai-seriously-enough-9313474.html . Copyright © 2014 The Independent. The potential benefits are huge; everything that civilisation has to offer is a product of human intelligence; we cannot predict what we might achieve when this intelligence is magnified by the tools that AI may provide, but the eradication of war, disease, and poverty would be high on anyone's list. Success in creating AI would be the biggest event in human history. Unfortunately, it might also be the last, unless we learn how to avoid the risks. In the near term, world militaries are considering autonomous-weapon systems that can choose and eliminate targets; the UN and Human Rights Watch have advocated a treaty banning such weapons. In the medium term, as emphasised by Erik Brynjolfsson and Andrew McAfee in The Second Machine Age, AI may transform our economy to bring both great wealth and great dislocation. Professor Stephen Hawking says he “fits a stereotype of a disabled genius” but that he is “not a genius like Einstein”, describing his Black Holes theory as a “eureka moment”. Looking further ahead, there are no fundamental limits to what can be achieved: there is no physical law precluding particles from being organised in ways that perform even more advanced computations than the arrangements of particles in human brains. 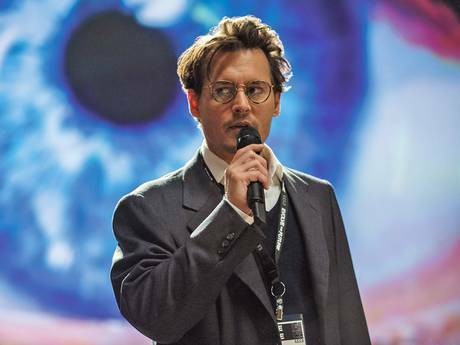 An explosive transition is possible, although it might play out differently from in the movie: as Irving Good realised in 1965, machines with superhuman intelligence could repeatedly improve their design even further, triggering what Vernor Vinge called a “singularity” and Johnny Depp's movie character calls “transcendence”. So, facing possible futures of incalculable benefits and risks, the experts are surely doing everything possible to ensure the best outcome, right? Wrong. If a superior alien civilisation sent us a message saying, “We'll arrive in a few decades,” would we just reply, “OK, call us when you get here – we'll leave the lights on”? Probably not – but this is more or less what is happening with AI. Although we are facing potentially the best or worst thing to happen to humanity in history, little serious research is devoted to these issues outside non-profit institutes such as the Cambridge Center for Existential Risk, the Future of Humanity Institute, the Machine Intelligence Research Institute, and the Future of Life Institute. All of us should ask ourselves what we can do now to improve the chances of reaping the benefits and avoiding the risks. 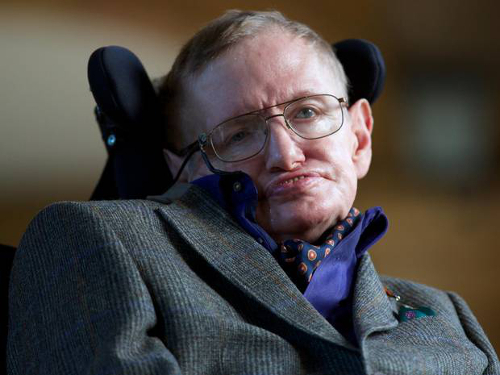 Stephen Hawking is Director of Research at the Centre for Theoretical Physics at Cambridge and a 2012 Fundamental Physics Prize laureate for his work on quantum gravity. Stuart Russell is a computer science professor at Berkeley and co-author of Artificial Intelligence: a Modern Approach. Max Tegmark is a physics professor at M.I.T. and the author of Our Mathematical Universe. Frank Wilczek is a physics professor at M.I.T. and a 2004 Nobel laureate for his work on the strong nuclear force.